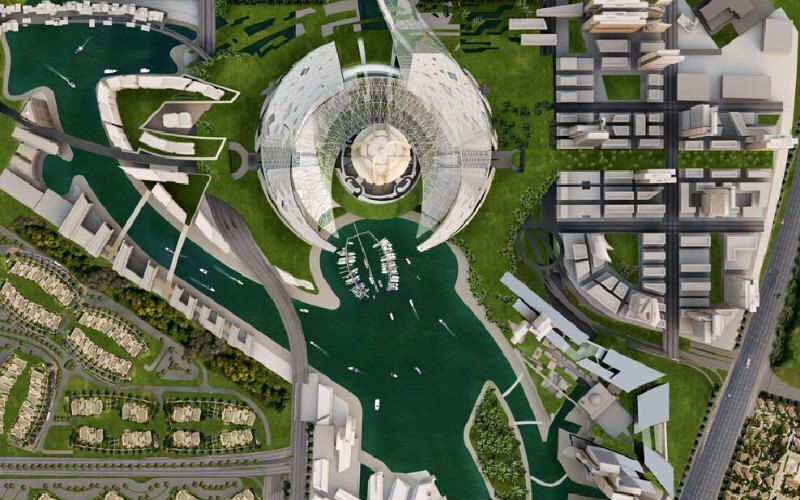 The project is part of a large 270-hectare mixed-use development called Nakheel Harbour. The tower was designed to serve as Dubai’s new capital building and it is adorned with Islamic design elements. Shopping districts, residences, offices, and public parks will make the area a thriving cultural hub. To achieve a height of over 1,400 meters, the tower features an Islamic building typology that divides the Tower into four cores, with slots in the middle up near the top. These slots allow wind to pass through the building, reducing the wind load and allowing for uniformly-sized floor plates to be used the whole way up. The vertical city will be a LEED certified eco-tower and include black water treatment, storm water harvesting, reuse of fire test water, solar panels, wind turbines, and high-voltage power distribution. Construction is currently on hold and there is no word on when it may start. The entire development is estimated to take 10 years to build. The Nakheel tower was all but a dream. This will NEVER be built by Nakheel. Nakheel is broke, continues to sack staff weekly and doesnt even have enough funds complete villas that it sold off plan over 5 years ago let alone get the sufficient capital to complete a project like this. Its about time everyone stops discussing this like its a current project. Enjoy the pictures at least because thats all they will ever be. Nakheel Tower is not on hold. The entire department has been sacked. All that's left are cardboard boxes of design documents & data. Unfortunetly this project will never see the light of day. Not while Nakheel continue to reduce its 6000 workforce, which currently number 200! 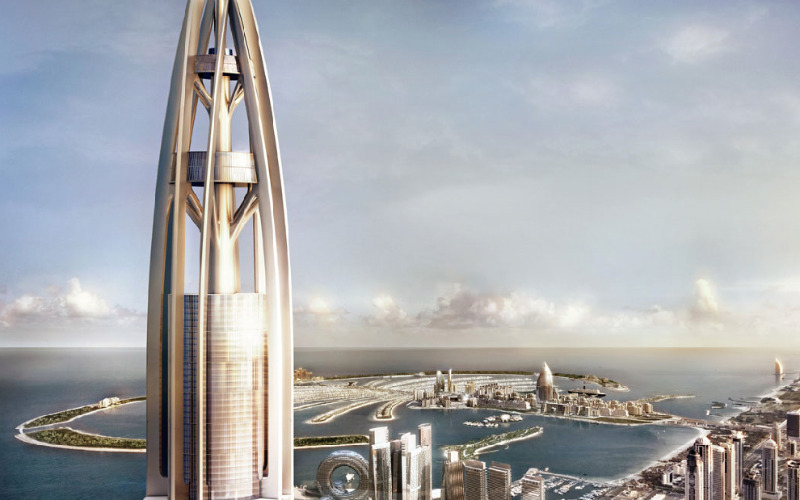 Designed for Dubai by Woods Bagot, the Nakheel Tower is planned to be the world's tallest skyscraper. The towering spire would stand over a kilometer tall, measuring in at 1,400 meters (4,593 ft) and putting the Burj Khalifa to shame. The tower is part of a much larger marina development in Dubai and also designed to LEED standards - that is if it ever gets built.